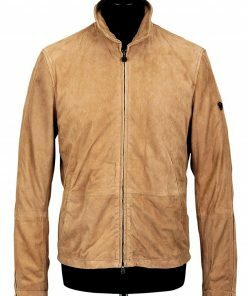 Spectre brown Jacket made from high-quality suede leather, with neat stitching done in a precise manner. Neat Stitching Done In a Precise way. Dual Waist and Keep Your Accessories in Dual Inside Pockets. It’s Durable and work well for an extended period. This t is an ideal Blouson jacket for a fashion-forward guy; in any of your casual gatherings, you can put on this jacket with style. It works best as a daily wear jacket. Because of its comfortable lining. This James Bond jacket is perfect for all seasons throughout a year. James Bond Jacket is great. I might want actually to thank you for your exceptional item. Keep up the superb work. An apparel of high class comes this James Bond Jacket which is ever inspiring and appealing observed in the Hollywood Action Movie “Spectre”. 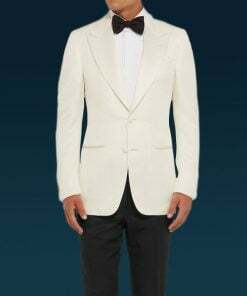 The actor Daniel Craig wore this as James Bond, which he made it more as his casual look and seems comfortable when he wore in the movie. The overall has given nothing but a classy touch which every man deserves to wear. 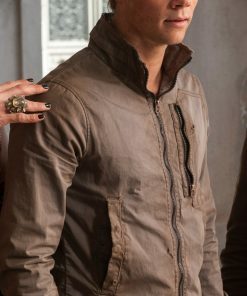 This Light Brown Suede Leather Jacket will guarantee you the look similar to the movie and is slim fitting, just the way it should be. So avail it as it is up for grabs.